To relieve the needs of young people in particular those who are homeless, poor or abused or suffering life threatening illness. Supporting children in all Caribbean islands and in the United Kingdom of Great Britain and Northern Ireland. Whichever way you decide to give, your kind donation will help St.Lucian children in need. Fundraising can be fun and a great way of getting active and involved with the Jermain Defoe Foundation. We look for partners that are well aligned with our brand and through working together can help ensure each child lives a happier life. 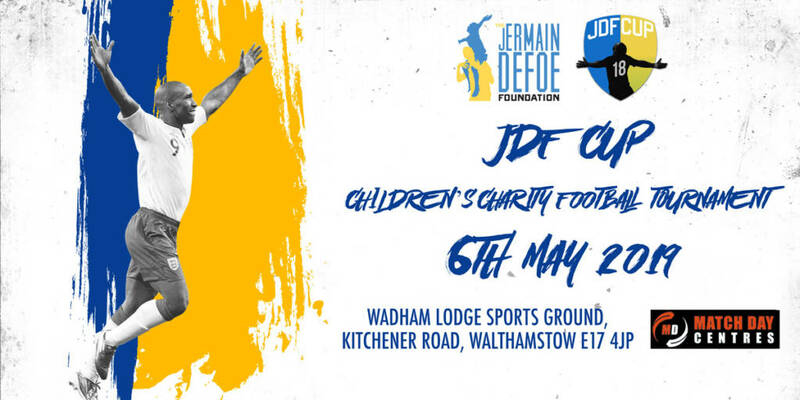 The Jermain Defoe Foundation is hosting it’s fourth annual children’s charity 5-aside football tournament to raise money for underprivileged children in the Caribbean and the UK. Donate Today to Help abused young people in St Lucia.